Guitarist, Rik Wright, is a musical experimentalist who is totally unafraid to cross stylistic barriers to achieve his musical vision. Quite simply, such barriers do not exist for him, although others may restrict their own musical interests or listening by defining them in terms of a particular genre. To that regard “Isomorphism” is perhaps his most adventurous undertaking. “Minor You (Prelude)”, the opening track of “Isomorphism” slowly fades in with 70s style electronic noises, sounding not unlike an invasion of the Dr Who set by the Clangers. Behind this unearthly song a lone trumpet sounds its own plaintive cries, gently humanising the ever building wall of electronic sound. The resultant sound is both beautiful and haunting, comforting and unnerving. Punning titles seem to be de rigueur in modern jazz and this is no exception. The opening title alludes to both the minor key of the piece and also to the overwhelming sense of insignficance conveyed through a piece of music that seems inspired by the supernatural and mysterious. The music that Rik composes, performs and indeed engineers on this album is full of these kind of double meanings and contradictions. 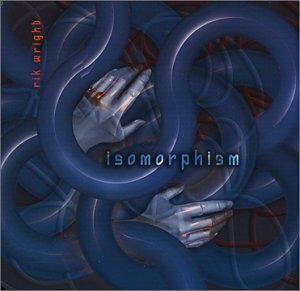 The use of electronic noises and samples throughout “Isomorphism” give it a very modern feel, yet at the same time it is always grounded in more familiar jazz refrains and melodies. A lot of the influence seems to come from the laid back and atmospheric sounds of the 60s and 70s, always more from cool jazz than from smooth jazz. But the influences are not copied verbatim, rather they are updated, freed from context, and played with a greater tonalistic liberalism that the originals would have enjoyed. The second track on this album, “Chaos Theory”, stands out as being the most different in style. It begins in a similar fashion with background noise provided by the chirping of insects overlaid with a gently oscillating, and again alien, sound. Then, as the electronic voice rises in volume and prominence the music changes dramatically to reveal the influence of another influential 60s performance, this time drawing heavily from “Free Jazz” by Ornette Coleman. This track, more that any other, investigates the music that is created when traditional ideas of compostion, melody, harmony and rhythm are broken down and replaced with free flowing streams of consciousness. The whole album seems to be underpinned by cleverly engineered compositions creating a rich atmosphere, heaving with possibilities. When the trumpet of Tony Grasso or the saxophone of Dan Blunck drift off into free flowing melodies it is only the underlying formlessness that gives them this freedom. The real power of this music comes from its constant suggestion of possibilities never realised, and of our relationship to them related through the anthropomorphising qualities of the interspersed familiar jazz styles and instruments. Another source of power on this album is the high quality of the performances. The range of styles and expression by all of the instrumentalists on this album is impressive. The solo by Reuben Radding on contrabass in “Speaking In Tongues” is excellent. The drums and percussion of Randy Doak are free and exciting without ever being meaningless or incoherent. With Rik Wright on guitars, loops and digital samples, and the aforementioned brass of Dan Blunck and Tony Grasso, the harmony and disharmony throughout this album is faultlessly played and always full of personality. The final two tracks on this album, “Some Assembly Required” flowing into a return to “Minor You” leave a very strong sense of the dehumanising qualities of “Isomorphism”, and a sense of lostness in possibilities the music opens up to the listener. Yet while these characteristics can leave you feeling unfullfilled and unsettled they ultimately make the album great. This is a work that challenges you to make something of it, to shape the music by hearing it. If you are prepared to do that then this is an album with much to give.